Appreciating the Lenovo Yoga 2 11 is all about managing your expectations as it doesn’t offer the screen quality of a dedicated tablet or the battery life of a MacBook Air. But we kind of don't care, because the hinge mechanism makes for a great device to use in multiple situations on the go. And at under £400 the Lenovo Yoga 2 11 successfully fills a niche that its Asus and Acer competitors haven't quite managed. By making this the least-expensive Yoga to date (not counting the best-forgotten Windows RT version), Lenovo makes a strong case that laptop and hybrid shoppers should expect more from budget PCs. At the very least, a solid build with an IPS display, decent keyboard, and a touch screen. 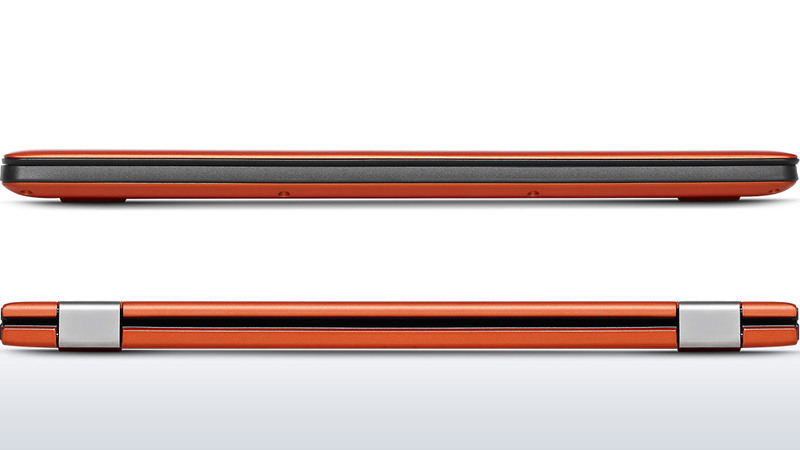 In the final analysis, the Yoga 2 11 is just a good laptop that’s capable of some cool party tricks. If your primary tablet use-case is movies, business presentations, or other applications that will benefit from its tent and stand modes, it’s a superior alternative to just buying another clamshell laptop. I don’t see it replacing the reading experience a dedicated tablet delivers, though. I’d also recommend you audition the trackpad and keyboard before laying down your cash—they didn't seem up to snuff. 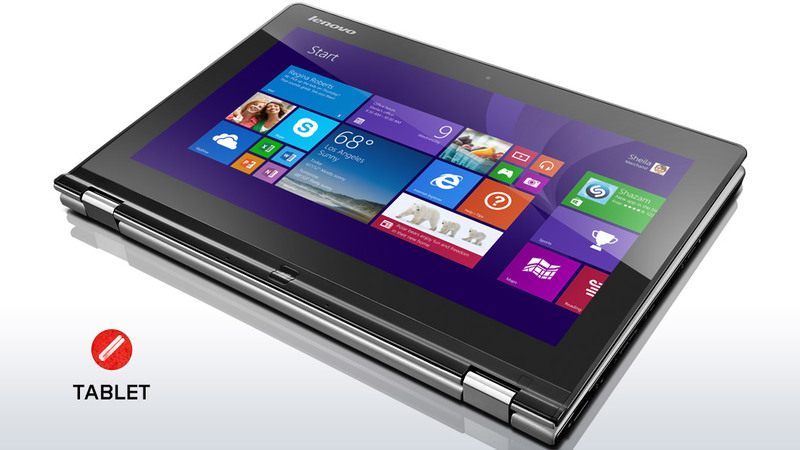 While the Yoga 2 11 is by no means perfect, we think that what you get for $499 provides excellent value. Aside from a somewhat flexy keyboard deck and less-than-optimal keyboard, the convertible is well-crafted and well-designed. Its bright and colorful screen and vivid-sounding speakers make it ideal for streaming video, and its Pentium processor and 4GB of RAM are capable of running most Windows apps efficiently. If you've been eyeing one of the ultrabook-class Lenovo Yoga laptops, but don't need ultrabook power (and its premium pricing), the Lenovo Yoga 2 11 is a good option. 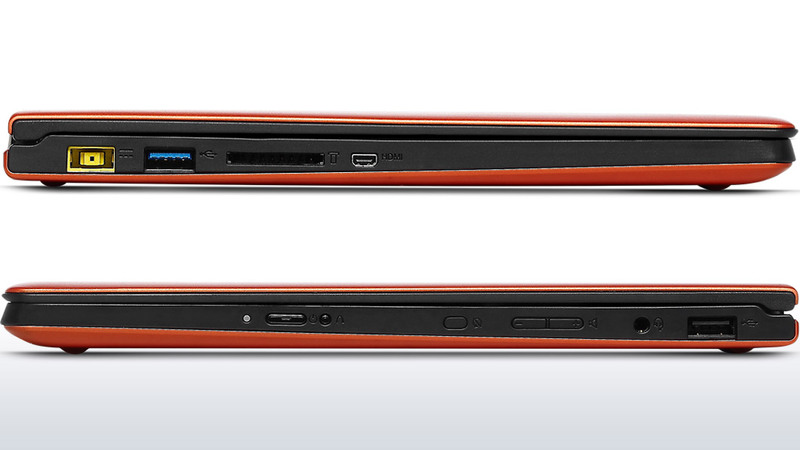 However, for almost $100 less, the HP Pavilion x360 offers the same internals in a flashier body. The HP x360 is also better connected, with a full-size HDMI port and Ethernet. Ultimately, if you want a highly portable hybrid laptop, the Asus Transformer Book T100TA retains the Editors' Choice; it's $100 cheaper, and offers better battery life and performance. 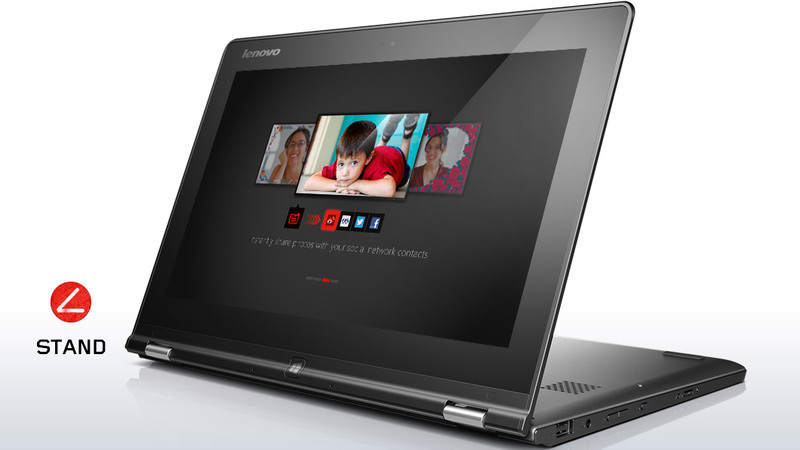 They say you can't have it all, but the sub-$500 Lenovo IdeaPad Yoga 2 11 comes close. For $499, you get a laptop with a bright, vibrant display and the Yoga line's extreme versatility and portability. Consumers looking for even more versatility should check out the ASUS Transformer Book T100, which has a detachable keyboard. 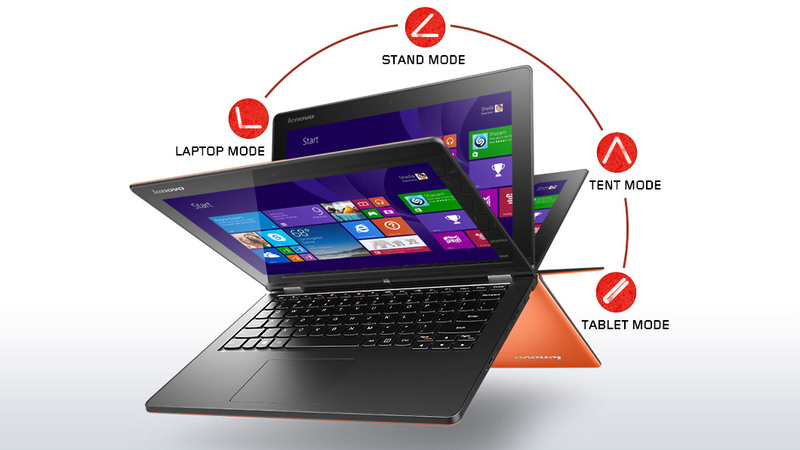 The IdeaPad Yoga 2 strikes a supremely well-judged balance: Lenovo has managed to trim costs without unduly compromising performance or battery life, while retaining all the plus points of the Yoga’s hybrid design. Most impressively, the 11.6in IPS display is leaps and bounds better than any £500 laptop or hybrid we’ve reviewed to date. Those looking for an affordable, portable everyday device should look no further – for £500, the IdeaPad Yoga 2 is quite simply as good as it gets. 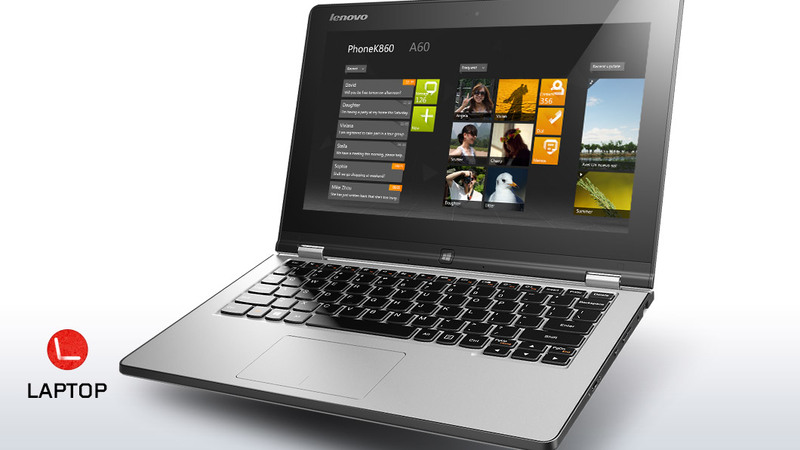 The latest Lenovo is another slick hybrid, with a good mechanism that's strong and easy to use. As usual, though, machines of this type involve compromises: it's too cumbersome for tablet use, and the keyboard is too poor to make this a satisfying laptop. Despite this, the Yoga 2 11 is the best cheap hybrid we've seen – but only take the plunge if you really do need a convertible device rather than a dedicated laptop or tablet. We’ve long been fans of Lenovo’s 360-degree hinge, and it continues to work well: it moves smoothly while retaining the strength to withstand daily use, and it’s easy to switch between the Yoga’s four positions. We love the 360-degree design and the price of the Yoga 2 11, but we're less keen on the sluggish performance, bulkyness and iffy keyboard. It's not a bad hybrid, but it's not our first choice. The Lenovo IdeaPad Yoga 2 11-9416656 is a rather popular model of the Lenovo IdeaPad Yoga Series, most likely due to its reasonable price without compromising performance. The laptop/tablet hybrid is amazingly light, weighing only 1.4 kilograms. Coupled with its acclaimed flexibility, the device gives a very unique experience for its users. 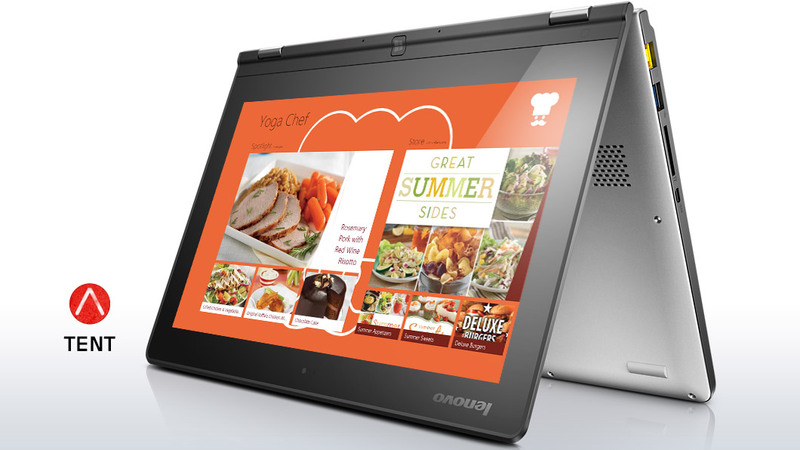 The Lenovo Yoga has an 11.6 inch display, which is standard for laptop/tablet hybrids. The resolution of 1366 by 768 pixels gives it great screen quality, which is quite low in today's world. Its Intel Pentium N3520 quad core Atom processor is able to clock at 2.4 GHz and provides a slightly better than average processing power. The hybrid also comes with an integrated Intel HD Graphics (Bay Trail) which is a very common GPU for laptops and tablets. It is based on the Ivy Bridge GPU and supports up to DirectX11. Unfortunately is just a very average card that won’t allow for any high-end graphical usage. 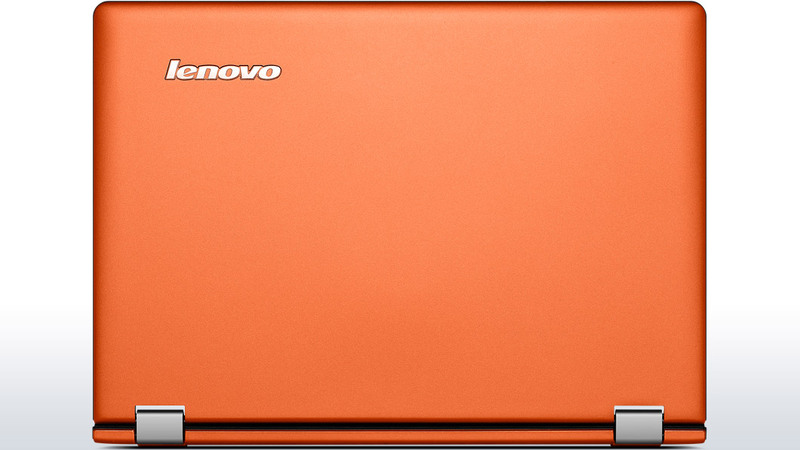 In essence, the Lenovo IdeaPad Yoga 2 11-9416656 is based on a rather unique idea for flexible tablets. Although it has rather decent hardware specifications, it is best used as a tablet, not a laptop. Its affordable price paired with its above average specifications make it a value buy for those who are in the market for a device like this. 69.58%: This rating is bad. Most notebooks are better rated. This is not a recommendation for purchase.